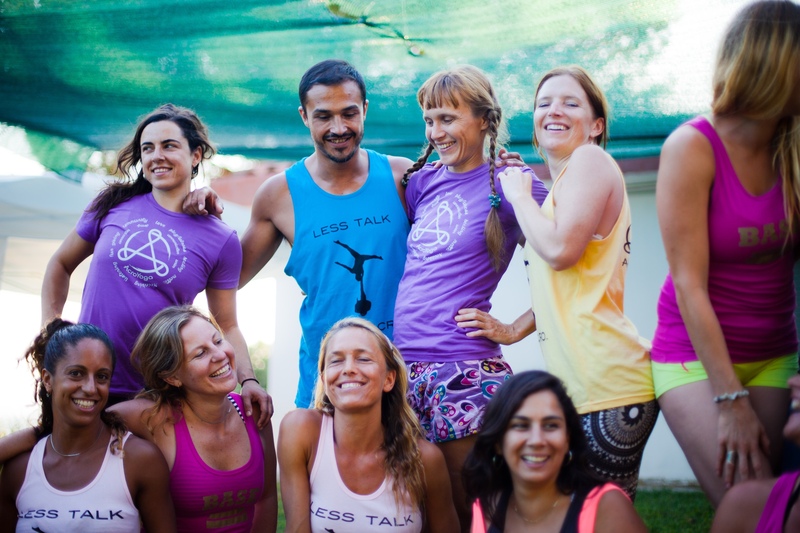 A weekend of AcroYoga shenanigans with Eva Yoga Art (BCN) & Neilon (BTN). Eva and Neilon did their teacher training together back in 2013 and came together to organise a holiday in Orgiva in the south of spain last year. 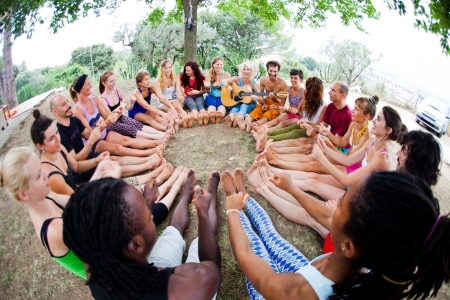 It was so much fun that they decided to teach another weekend of content, this time in Brighton. The workshop will be at the Ki Centre, with big padded floors and high ceilings. 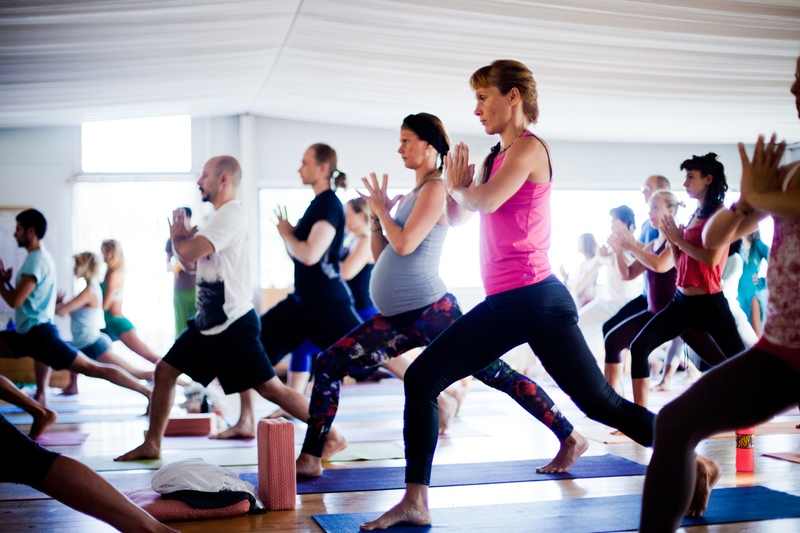 Along with the progressive and supportive teaching you’ll be doing new, fun AcroYoga tricks as well as working on the fundamentals that makes it all work. On this intermediate level weekend we will cover transitions, pops, original washing machines and whips. Session 2: 2:30pm-5:30pm – Washing machines 1. Transitions and flow. Session 3: 10am-1pm – Washing machines 2. Whips and tricks. £95 – Normal price for all 3 sessions. 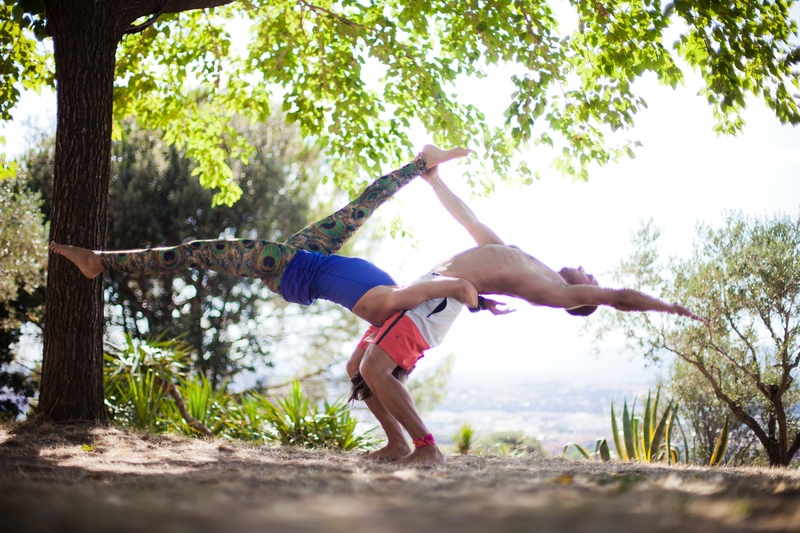 Neilon is a Level 2 AcroYoga International teacher and is based in Brighton. He has been a yogi for 30 years and is also a Thai Yoga Massasge therapist, personal trainer and martial arts instructor. Eva Yoga Art is a AcroYoga International teacher based in the thriving Acro scene in Barcelona. 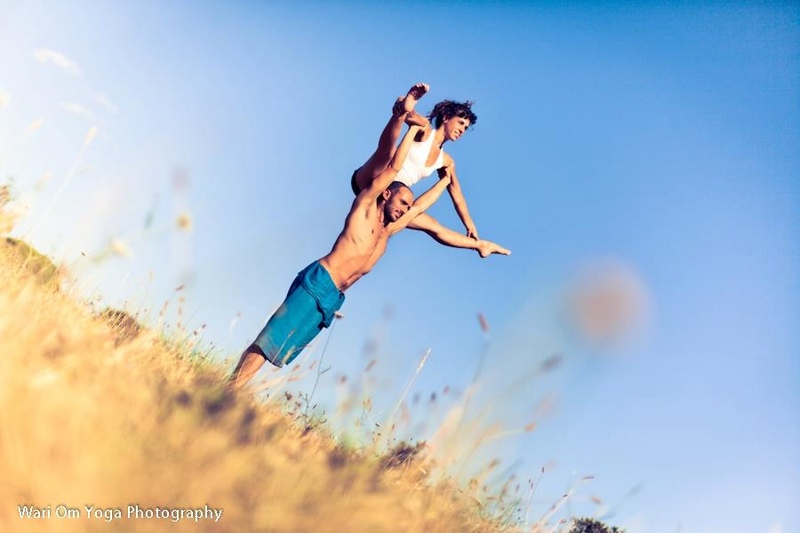 She is trained in different circus disciplines ( partner acrobatics, aerials, and juggling) dancing and therapeutics. Her classes are very influenced by her way to explore and develope consciusnes and creativity through movement.